Chin & Stephen: Chinese Wedding Traditions — Sweetchic Events, Inc.
I’ve been waiting eight months for this disc of images… the wedding of Chin and Stephen was recently featured in The Knot Chicago and so I had to wait until that issue came out before I could post this! And wow, it took me over two hours to go though all the amazing images from husband and wife photography team, Yazy Jo… and even longer to pick my favorite images! There are so many beautiful shots, I have to break this up into multiple posts! 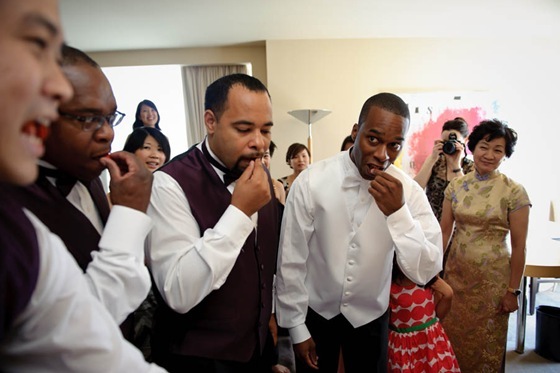 What I loved about Chin and Stephen’s wedding is that they were able to elegantly infuse Chin’s Chinese and Stephen’s Haitian cultural roots into the day. They kicked off the day’s festivities with traditional Chinese Wedding Door Games. Usually these take place at the Bride’s home, but on this day, everything took place at the Sofitel Chicago. 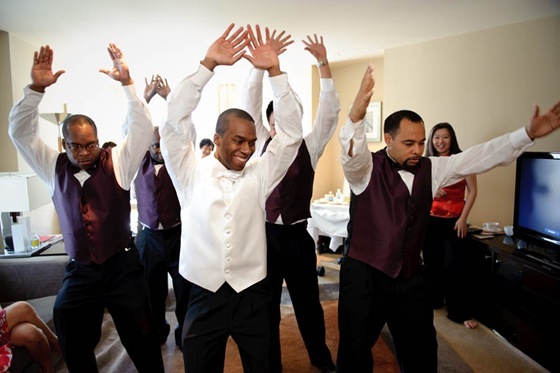 The Groom and his groomsmen had to pass a series of tests in order to “pick-up” his Bride, the first of which was giving the bridesmaids a red envelope full of cash before he was allowed in. While these games may seem rather odd to those unfamiliar with Chinese wedding traditions, they are definitely all in good fun, and everyone gets a good laugh. 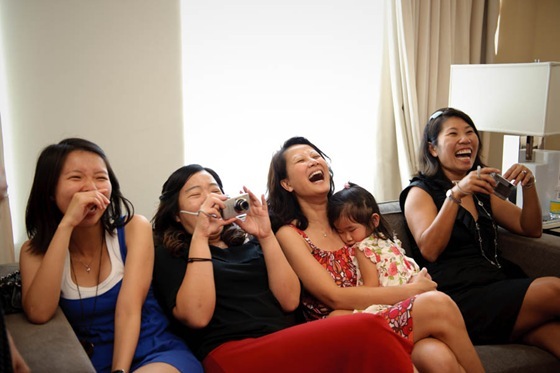 The ladies checked out how much loot is in the red envelope, while the groom pleaded to be let in to see his bride! Then the ladies requested some yoga poses! I love Stephen’s expression in this shot! And then finally the bedroom door was opened to reveal the lovely Chin! Then as a sign of respect to their families, they performed the traditional Chinese Tea Ceremony. They served both sets of parents cups of tea, and in exchange, they received red envelopes of money as well as gold jewelry. Chin modeling her beautiful custom-made pink traditional Qi Pao. Stay tuned for more gorgeous pictures by Yazy Jo!! Are you familiar with Chinese wedding traditions? Did you incorporate any into your wedding day?